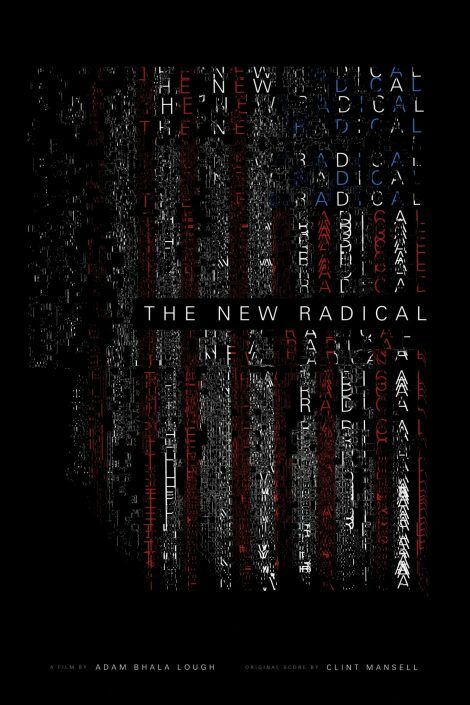 It’s difficult to watch a documentary like The New Radical without bringing in your own biases. That’s likely the point, considering the title and the subject matter. It’s supposed to feel alienating and disarming, to make you consider viewpoints that aren’t your own, and certainly to make you a little bit angry and defensive. 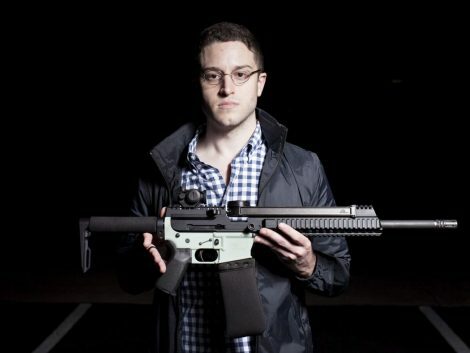 And when someone as intelligent as Cody Wilson is speaking, it’s easy to get wrapped up in what he has to say, to either feel vindicated by his philosophies or to feel such frustration that you want to either prove him wrong or throttle him. But Wilson quickly begins to feel like a sham, like a person choosing to work inside a system he feels is so flawed that it can’t exist. He is a man who is working against a system that has always worked for people exactly like him. 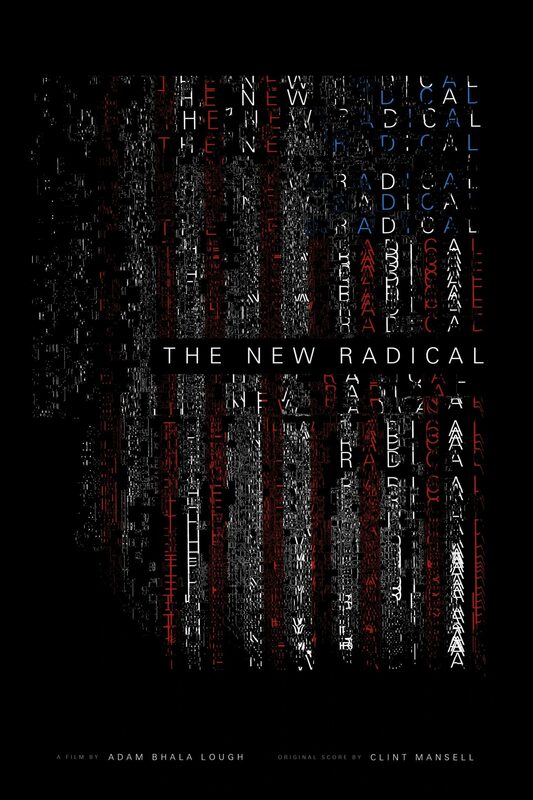 The New Radical follows Wilson’s journey as he designs a plastic gun that can be created on a 3D printer. It’s functional, and easily accessible once he puts the blueprints online for anyone to download. This gun wouldn’t require registration or a background check, as you can make it at home yourself. Of course, he immediately runs into legal trouble, ends up on the U.S. government’s watchlist, and finds himself suing the State Department over his First Amendment rights after he’s told he has to take down the files, which at this point have already been downloaded over 100,000 times. 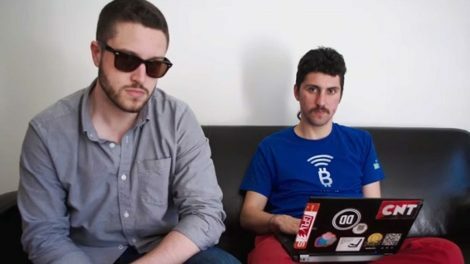 During that process, Wilson begins other enterprises, like designing and selling a gun that doesn’t technically qualify as a gun, and working with British programmer Amir Taaki to create DarkWallet, a Bitcoin app that allows users to make and transfer money without government ability to track it or to see where the money is coming from or going. Wilson and Taaki have their reasons for these enterprises, of course. As crypto-anarchists, their goal is to undermine government through the use of technology. And perhaps, as anarchists, they don’t need any other reason for what they’re doing. The disestablishment of the government would be a good enough reason, so that people can experience “true liberty” outside of the confines of governmental oppression. And while Taaki expresses passions about particular issues, and sets his skills to helping specific cases of tyranny, Wilson feels oddly shallow beside him, caught up in the controversy of the gun he created, giving himself something of a stupid hill to die on. Adam Bhala Lough doesn’t actively pass judgment on Wilson or Taaki in his directing. He doesn’t paint them to be heroes, or revolutionaries. There are as many intelligent and thoughtful interviews with people who disagree with Wilson on his desire to make guns available to anyone with access to the internet and to a 3D printer. He positions Wilson’s legal fight with the government against news clips of some of the U.S.’s more horrendous mass shootings–and Wilson’s reasoning does seem to fall flat beside it. He claims he’s giving the masses the ability and freedom to protect themselves while also seeming to just enjoy playing with guns. He doesn’t feel like he’s a revolutionary. The film also juxtaposes the actual living situations of Wilson and Taaki against each other as well. Wilson is a white man, a law school dropout, who seems to refuse to work but complains about “living in squalor” with masses of debt. “Squalor” of course is a huge apartment that has only a small amount of furniture in it. He doesn’t have a bed, but he does have a BMW. Besides issuing a cease and desist and perhaps bugging his home, the U.S. government has clearly largely left him alone. Taaki on the other hand is British-Iranian and often lives in actual squalor, squatting in abandoned buildings or living in warehouses with a dozen or more other activists. He has been arrested on suspicion of terrorism and must report to the police every few days to prove he hasn’t fled the country. It doesn’t feel like an accident that these two men, who know and work together, are set side by side this way. It lends to a certain light being cast on Wilson, who begins to come across as self-serving more than anything. There’s a sense of intellectual amusement for him in all of this, especially as the film nears the 2016 election, which he wants Clinton to win not because he agrees with her, but because it will make radical right-wing conservatives more likely to buy his product. It’s an interesting way to approach this story, because Wilson and Taaki begin to feel like people with wildly different agendas, that there raisons d’etre aren’t as aligned as they might seem on the surface, especially considering they’re working together on a project. Lough gently suggests that we feel camaraderie with Taaki, with his chav demeanor and an ever-changing hairstyle, a person who looks like he’s actively fighting a corrupt system, a person who feels strongly enough about what he’s trying to do that he’s willing to starve to do it. But Wilson doesn’t come looking out like such a rose. He seems petulant, and childish, and even Taaki wonders if the only thing Wilson will ever be is that guy with the 3D printed gun or if he’ll do something more meaningful with his life. The juxtaposition acts as a criticism, and it feels deliberate. Lough might not take an obvious stance regarding their philosophies or actions, but he certainly guides the viewer to ask questions about their motives and whether these men are really in a defensible moral position. A “dark” currency exchange system that could be used for money-laundering or other criminal enterprises feels less dangerous, less immediately terrifying than Wilson attempting to put guns into the hands of whoever can find and use a 3D printer. Lough seems to, on some level, have an answer to the question his film poses: Does the ability to create a 3D printed gun mean you should? The documentary comes at the right political time. 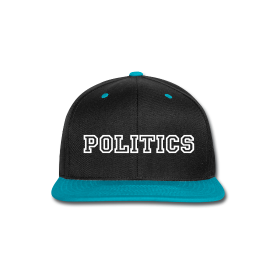 Made over the course of the second term of the Obama administration and into the chaos of the 2016 election, there are lots of questions about how much power the government should have and how people can begin to feel safe in a country that doesn’t seem very interested in protecting them. Wilson is a very smart man, who can speak about political philosophy so eloquently that you might start to believe in what he’s saying–even if his ideology and methods for implementing it don’t always make sense. In focusing on Wilson and Taaki, Lough has tapped into those with some of the most extreme solutions to problems with governmental authority, has found men who would be happy to watch the world crumble in the name of liberty. But is that liberty self-serving, in the end, for men like Wilson? The film doesn’t answer that question. But it certainly leaves viewers to chew on it. Elizabeth Brei grew up in Chicagoland, once worked at Disney World and has a cat named Moo. She holds an MFA from San Diego State University and can sometimes be found on Twitter @peachchild grumbling about kids these days or talking about Sailor Moon.